I recently heard an interview with author/blogger extraordinaire Claire Zulkey in which she was asked to give advice to aspiring writers. Her answer? Just keep writing. She said it doesn’t have to be meaningful or even “good enough” to post somewhere, but you gotta keep writing. Even when you don’t want to. The same goes for running. Not every run is going to be amazing. Sometimes, you just don’t feel like it. Sometimes, you’re just getting the miles in. Sometimes, your heart really isn’t in it. But that’s not the point; the point is that you’re keeping up the habit and building a foundation. 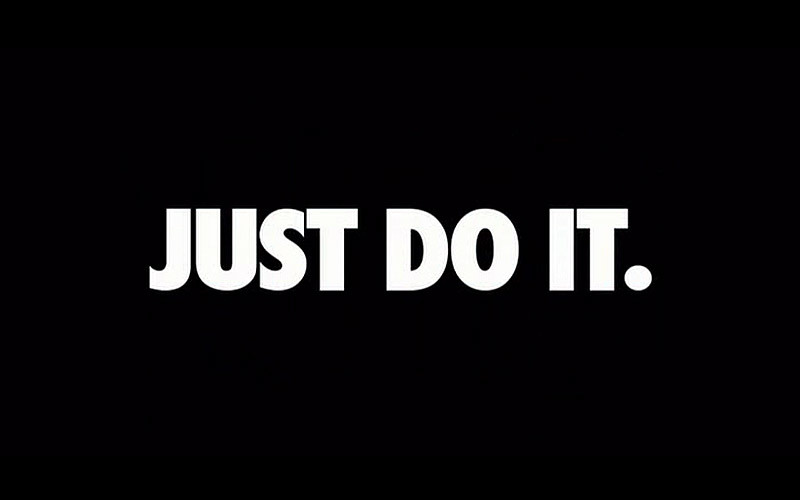 If you find yourself fairly seriously considering tackling a full marathon, as our friends at Nike say, JUST DO IT. Of course you have your doubts. Of course you know it’s going to be hard. Of course it’s a huge commitment. But if you’re even toying with the idea, it means the seed has already been planted. It’s time to make a decision and go for it. Pick a race where you’ll have support — be it the support of thousands of strangers or the support of throngs of friends and family. 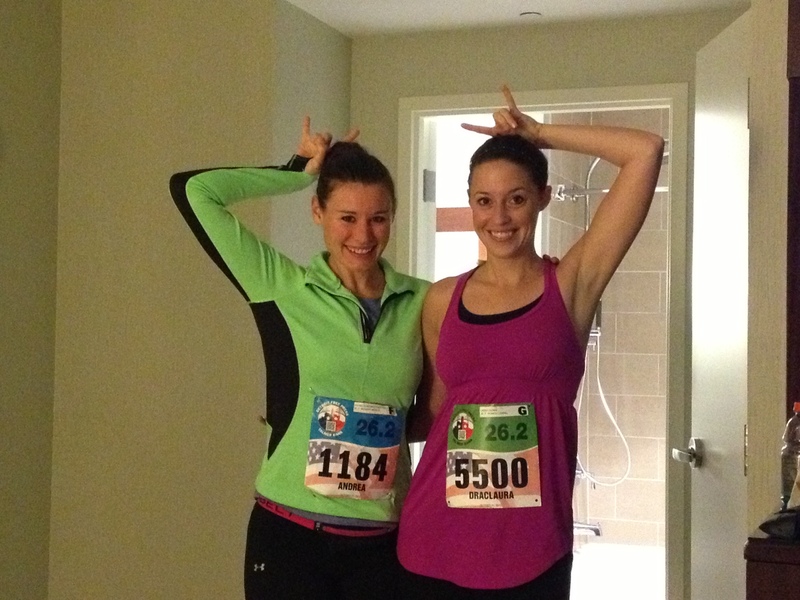 Pick a race that you will have ample time to train for. But most importantly, pick a race, pay the registration fee and set the wheels in motion. I know it is a scary leap to take, and undoubtedly you’ll have detractors calling you crazy. But remember, there was probably a time and place when you thought you couldn’t run a 5K/10K/half marathon, and you did that, didn’t you? Maybe you’ll be a one-and-done marathoner, and there’s absolutely nothing wrong with that. Or, maybe you’ll find that you really, truly love the challenge of the marathon, and it will set you on course to keep dreaming bigger. Whatever the case may be, you’ll come out on the other side of 26.2 a changed person. The final entry in a series of posts from Bad Angel guest bloggers Laura and Brent, who live in Denver. I write with a big smile and a happy heart. 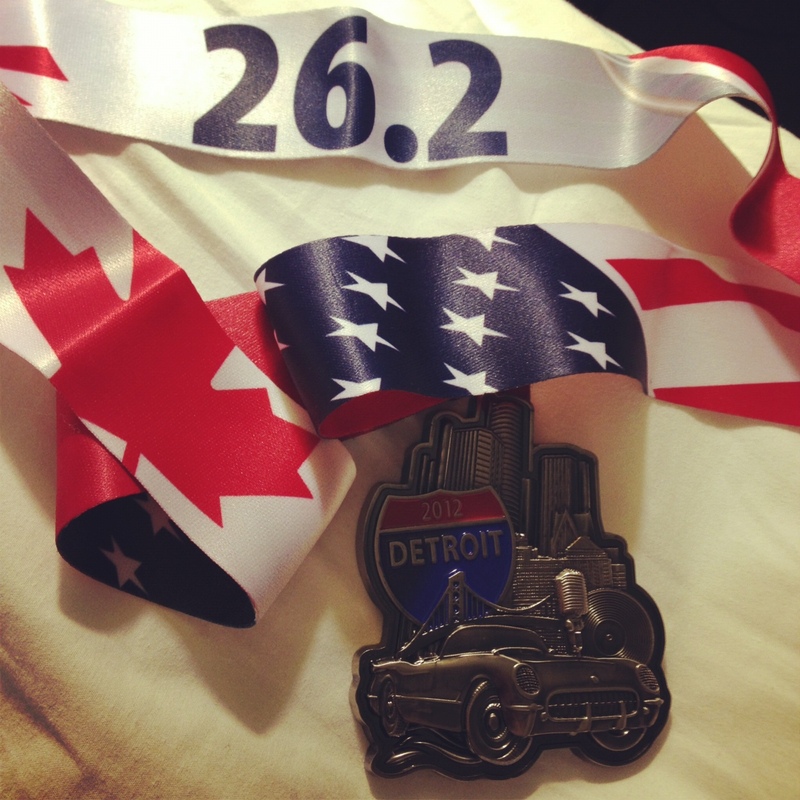 I never fully understood the “runner’s high” until I finished the Detroit Marathon on Oct. 21, 2012. I’d love to share with you my take on the race and some course highlights, in case you ever want to sign up for this one (which I recommend). First off, making it to marathon week was a big deal for me. It wasn’t a typical week as Brent and I traveled to Chicago for a work conference. If this ever happens to you, take it easy on the walking! My legs were actually sore from all the hoofing around I did during the week, so I cut back my last two training runs of the season and did a couple of two-milers. I felt good running the Lakefront Trail in Chicago, and I also was ready to just get to the race already! We made it to Detroit the Thursday before the race and spent some good family time in Michigan. The night before the marathon, we tried to get some decent rest, but I’ve never been so anxious in my life! In the morning, my “long-distance training” friend and former college roommate, Andrea, who lives in Raleigh, N.C., met me in my room. Together we buttoned up for the cold darkness outside and made our way to the starting line (after tatting up with some Detroit Tigers logos — it really is too bad they got swept in the World Series because the city was buzzing that weekend). The first three miles were a little sketchy — we joked about stray dog bites and zombie attacks. It didn’t matter though, those first three were a blur. 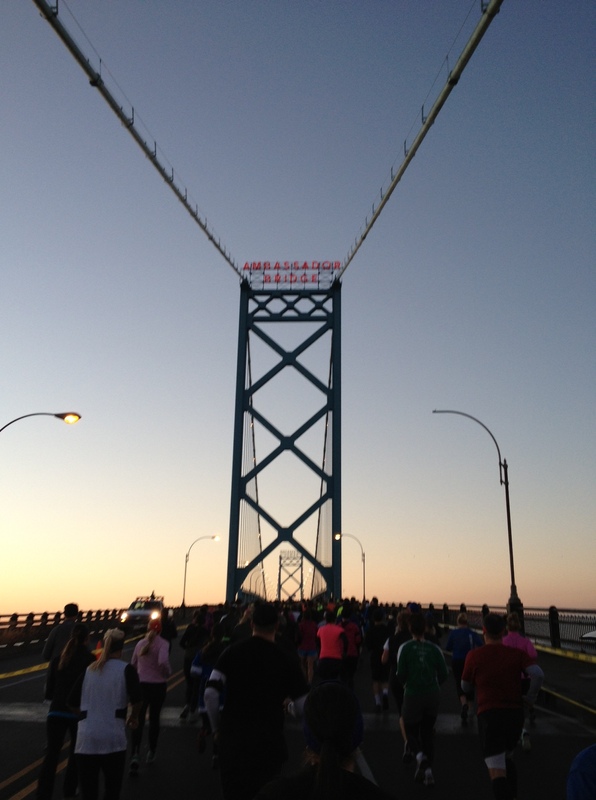 Just after mile three, we made it to the Ambassador Bridge entrance where the sun was just rising as we approached Canada. Incredible. Miles 4-7 wound around neighborhoods in Windsor and were some of the most fun memories of the race — lots of spectators drinking coffee and making me jealous I didn’t have a coffee. We then approached the tunnel that goes underneath the Detroit River to get us back to the U.S. around miles 8-9. The underwater mile was great at the Canada/U.S. border — and we all felt the need to cheer when we crossed back into the good ol’ U.S. of A. Around mile 10, we circled around downtown Detroit through some beautiful, autumnal neighborhoods, and at that point, my ankles started hurting pretty badly. I noticed my outer right knee started hurting, too: A pain that’s all too familiar to me, caused by a tight IT band. I had more positive energy flowing through my body than I ever had and was determined that “pain doesn’t matter” – a mantra I read about in “The Non-Runners Marathon Trainer.” I stopped for a moment to take a few ibuprofen and realized Andrea was now a bit ahead of me. I put it in gear over the next three miles to catch up to her so we could cross the 13-mile marker together, where family and friends would be cheering! Stopping due to pain was not in my plans, so I didn’t. After the big buzz from seeing my mom, Brent’s mom and Brent, the second half of the marathon was underway. Miles 14-17 were long and straight, but I had a renewed energy – and I couldn’t help but getting a bigger smile because I knew I was that much closer to completing my first full marathon. We headed into the Indian Village neighborhood where folks were DJ’ing in their yards, passing out beer to runners and generally just being great sports about cheering us on. At this point, I felt an even bigger positive burst – and kept telling Andrea that we were that much closer to the finish line. We talked of drinking whiskey at the finish and that all we had was left was a short weekday run! Miles 20-23 crossed the MacArthur Bridge and circled around the beautiful Belle Isle. At some point here, Andrea and I snagged a photo together and then separated. I knew she would be very close behind, and no matter what, I’d see her at the finish. I continued on and met some new runners along the way from miles 23-25. At this point, the course followed the river walk and was full of spectators and signs. Toward the beginning of mile 25, there was a small hill (at the time it felt like a mountain), and I began to fast-walk it. A woman there cheered and reminded me that I was about to begin the last mile of the race! Another runner and I simultaneously began running again, and I didn’t stop the rest of the way. Welcome to the 26.2 club! I could not believe I was at mile 25. The last 1.2 was completely like a dream. 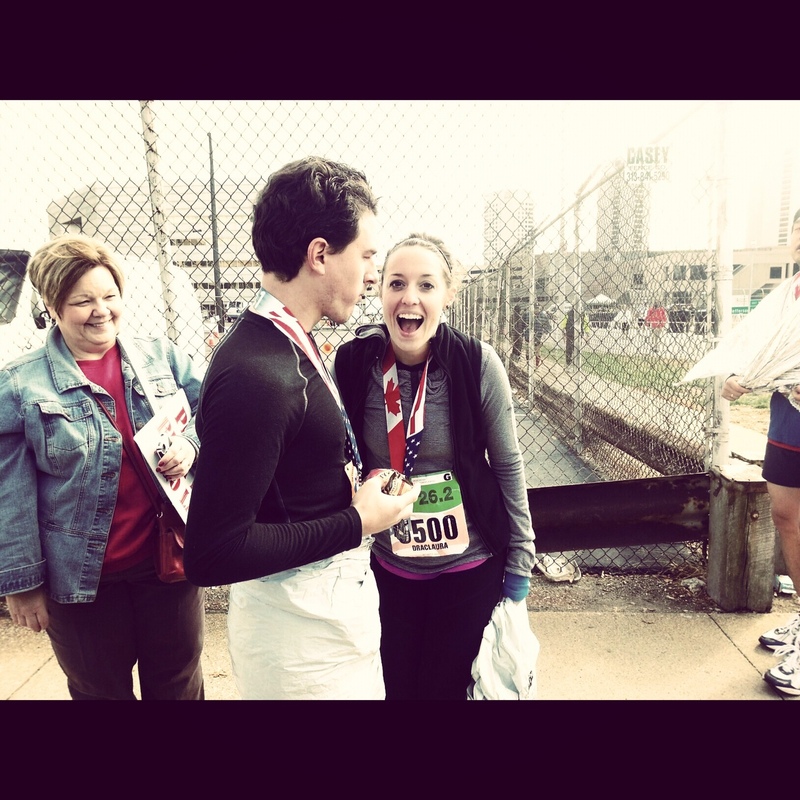 I ran past my family prior to the finish – high-fives and hugs. I was surprised to have the energy I did as I came up on the finish. 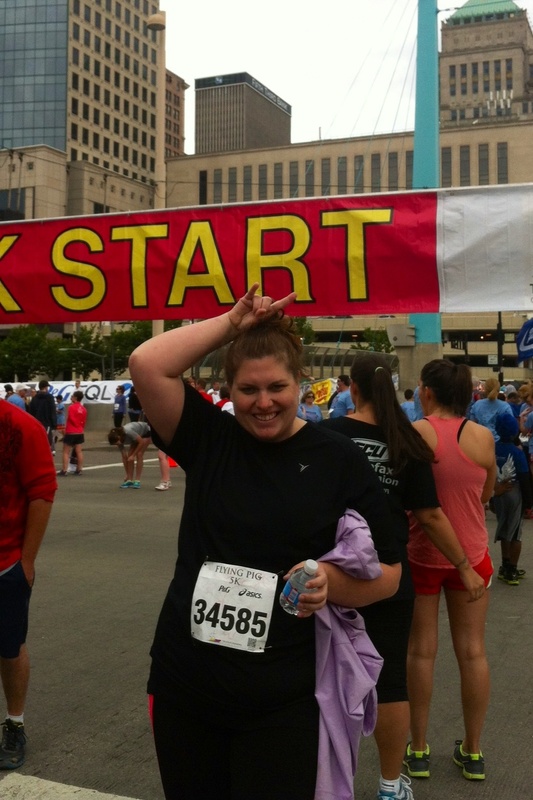 I felt like I was sprinting in – the announcer called my name and city, and then it was over. I crossed the line and was handed a medal. I was one-third breathless, one-third crying and one-third uncontrollably smiling. A sense of accomplishment poured over me. I realized this was what a runner’s high was, and I felt like I could do anything. I wasn’t exactly sure what my time was since we had started in such a late wave. But I didn’t care. I was so proud that I did it. As it turns out, I ran a 4:31:44. So close to being under 4:30, but no cigar. I am in no way discouraged by this, I just have to do another! And it will keep me going. I had FUN at each and every mile. I am more than grateful to have shared the miles I did with Andrea. I think this is why I had fun at each mile. Thank you, Andrea, for your encouragement and for “long-distance” training with me. I am proud of you, and us! Doing a marathon in a city where your family can come means the world. I was so happy to see them along the way. I am so appreciative of all of them – and Andrea’s family, too! It really is mental. All of it. Drink the beer at mile 17 but avoid the beer at mile 24. This is for real. Training for and running a marathon changed me as a person. It’s more than an athletic event; it’s finding and being part of a community, learning what you are really made of and gaining the confidence at the finish to know you can do anything you want. Bad Angels give the BEST advice. I am so thankful to be part of this group. Lastly, I am proud of Brent for doing the half marathon with little training. I am also a lucky lady to have such a supportive husband. 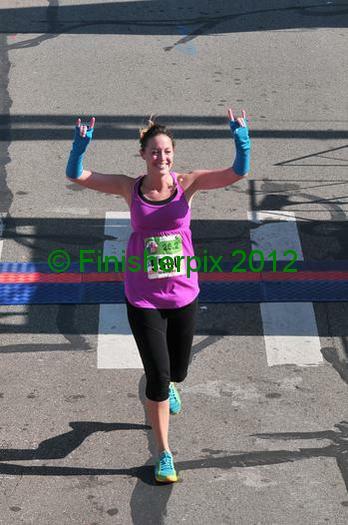 All smiles after 26.2 miles. When you’re pushing your body to its limits in pursuit of a goal, make no mistake, it’s going to hurt. But being in pain doesn’t always mean you are injured. A couple weeks ago, I ran the last 24 miles of the Chicago Marathon with pain — in my hips, ankles, knees and feet. I wasn’t injured. Nothing was broken. No muscles were pulled. So I accepted the pain and kept going. How did I do it? How does anyone do it? When you’re new to running, the immediate inclination is to stop at the first sign of pain or discomfort. Naturally, you want to escape pain, but, the “hurt” is important sometimes. It’s all about your attitude. Don’t block out the pain; you still need to be hooked into your body in case something major does happen (and believe me, you’ll KNOW when it’s a real injury). Instead, acknowledge its presence and decide it’s not going to be a barrier or an excuse for not reaching your goal, be it finishing a big race or a routine training run. As you’re just getting your feet under you, it can seem as though there are only two speeds: running and walking. Well, friends, I’m here to tell you that you have at least one extra gear. And that extra gear is the Survival Shuffle. It’s not really much faster than walking (and sometimes, it’s probably slower), but it can save you from the jarring (both physically and mentally) start-and-stop of run-walking, and propel you through a rough spot until you find your second wind. To employ the Survival Shuffle, there’s not much technique to master. 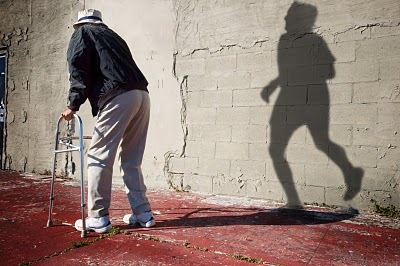 Basically, you just shuffle your feet forward while the top half of your body pretends that you’re still running. You conserve energy and kick back the pace a bit without completely wrecking your flow. Also, it’s a great skill to have in your arsenal as you become a more experienced runner. I do the Survival Shuffle through water stops, and I’ve admittedly gutted my way through races for which I was underprepared by finishing the last mile or two in Shuffle-mode. Having trouble finding the motivation to keep running? Do yourself a favor and sign up for a race. 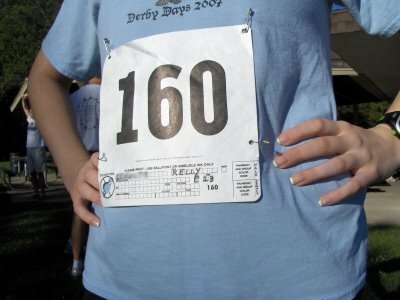 Find a neighborhood 5K or a “themed” race (like this awesomesauce 6K I’m doing in two weeks) to get the ball rolling. While you’re at it, get a friend to sign up. too.